This year marked the 70th anniversary of the School of Foundation Training (SFT) (formerly the Police Training School). The Police College celebrated the occasion with a publication and activities to enable officers to get a better understanding of the history and development of SFT and increase their sense of belonging to the School. The Police College has published a theme book, titled "Excellence in Police Training". The book consists of four parts. Part 1 is about "A Glimpse of History" and covers the history, major changes to the School and directions of its future development. Part 2 is about "Diversified Training" and introduces the characteristics and anecdotes of several major divisions of the School. Part 3 is about "Familiar Faces" and pays tribute to several long-serving staff members, such as the tailor and the cobbler. Part 4 is about "Passing on the Baton" and features trainees from different decades talking about the characteristics of the School at different times. The book contains many historic photographs about the history of the School. In addition, readers can view videos related to the School by scanning QR codes on some of the pages. 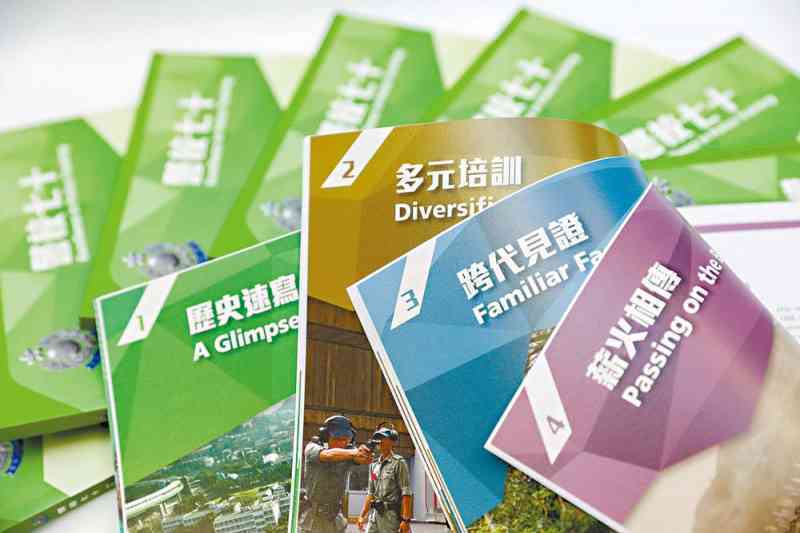 Copies of the book were distributed to guests at the passing-out parade on November 17 whilst the E-book is available on the following website for browsing: https://www.police.gov.hk/info/college/70a/index.html. 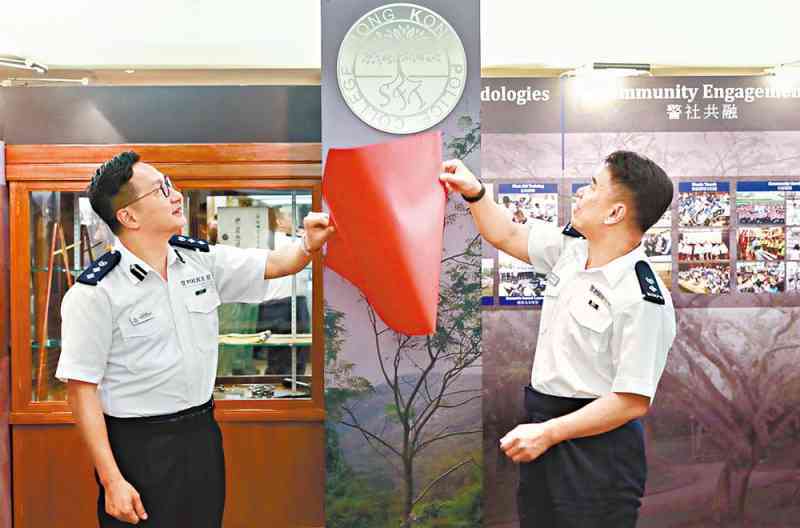 Deputy Director 1 of Police College Chan Man-tak officiated at the opening of the Memory Corner at the Officers' Mess of SFT on October 31. Mess members and trainees thanked the staff of the Recruit Police Constable Training Division and trainees for their efforts. All participants admired the photographs and artefacts about the School to recall good old memories. The SFT held a motto competition in August to select mottos that best reflect the School's spirit of providing professional training. The competition was aimed at boosting the pride and sense of belonging of officers to the SFT. Over 100 staff members and trainees participated in the event. The senior management of the Police College selected the winning entries. Station Sergeant Mak Sze-yuen and Acting Chief Inspector Chan Ho-man were awarded the champions. Their winning entries were "勤明律誠" and "Train with Quality, Serve with Dignity" respectively. Five merit awards were presented to other outstanding participants. Senior Superintendent of SFT Lee Chung-wah presented certificates and book coupons to the winners. The award-winning mottos will be posted on SFT's notice boards and displayed on e-posters in the campus.